U.S. Ski & Snowboard announced on Thursday, May 31, that the NASTAR National Championships will return to Squaw Valley next year. U.S. 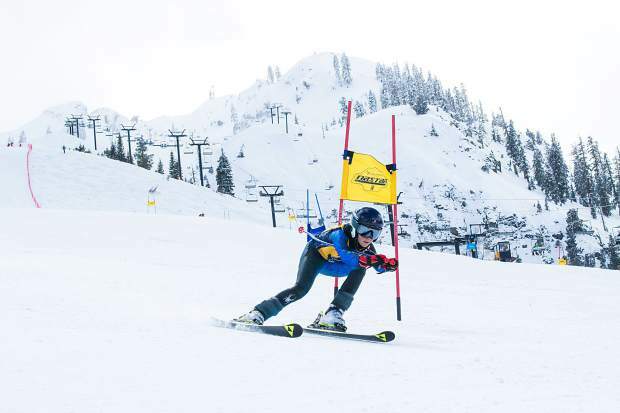 Ski & Snowboard last week announced that the Liberty Mutual Insurance NASTAR National Championships will return to Squaw Valley next year April 3 to 7. With U.S. Alpine Championships and NorAm Finals wrapping up in March, the early April dates allow for maximum attendance from U.S. Ski Team members and ideal timing for good snow cover at Squaw Valley. Squaw Valley hosted last year’s championships, which featured steep, fast courses, celebrity pacesetter appearances from the likes of Daron Rahlves and Marco Sullivan, and a wide range of entertainment options at the resort. Squaw Valley sees an average of six feet of snow in the month of March, making early April a prime time for a racing event. The resort had one of its biggest on record in March 2018 with 227 inches of snowfall, the second most on record at Squaw. NASTAR participants qualify for the championships by winning a medal on two or more race days at any of the more than 100 NASTAR resorts during the 2018-19 season within their age, gender and ability group. Racers can also qualify by earning a top ranking at a regional championship event. In addition to the Alpine Ski division, the NASTAR National Championships will also host snowboard, telemark and physically challenged disciplines.